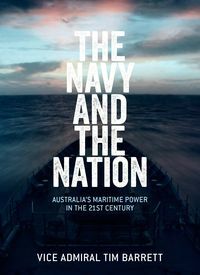 Vice Admiral Tim Barrett joined the Royal Australian Navy in 1976 as a Seaman Officer and later specialised in aviation. He assumed command of the Royal Australian Navy on 1 July 2014. Having received a Conspicuous Service Cross in 2006 for his achievements in naval aviation, Vice Admiral Barrett became a Member of the Order of Australia in 2009 for his service as Director Naval Officers' Postings and Commander Navy Aviation Group. He was made an Officer of the Order of Australia in 2014 for his leadership of Border Protection Command and the Australian Fleet.